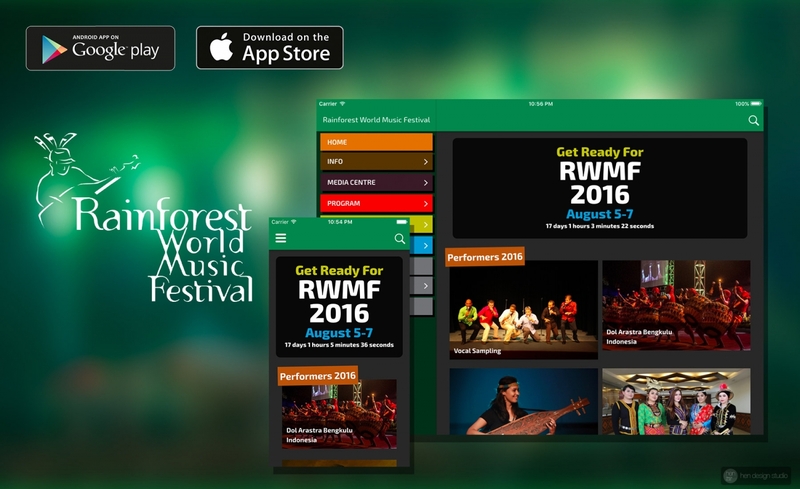 The Rainforest World Music Festival (RWMF) is an annual 3-day music festival celebrating the diversity of world music, held in Kuching, Sarawak, Malaysia. The festival uniqueness include afternoon music workshops, evening main stage concert, native handicraft bazaar displays & food stalls. RWMF is proudly presented to you by Sarawak Tourism Board, supported by the Ministry of Tourism and Culture Malaysia, Ministry of Tourism Sarawak and endorsed by Tourism Malaysia. Offline cache support, able to view offline once content loaded.